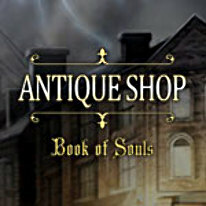 Travel to exotic European destinations to find artifacts and unlock the secrets of the mysterious diary Emily finds in her newly inherited shop in Antique Shop - Book of Souls Platinum Edition. . Included in the Platinum Edition is a 30,000 word E-book based on the game. Suspense, adventure, and intrigue unfold in Part I of an exciting hidden object trilogy.